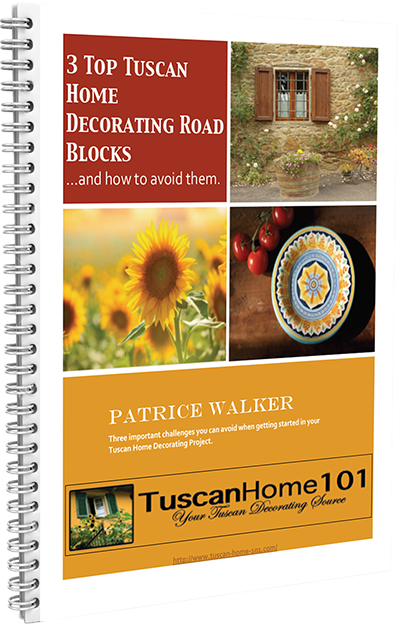 "Free Resource Report: 3 Little Known Decorating Road Blocks You Can Discover TODAY to Avoid Completely Screwing Up Your Tuscan Home Design Project!" Copyright © 2008-2016. Tuscan Home 101 / Tuscanize It!™.